nextnano will be exhibiting at the DPG Spring Meeting 2019 in Regensburg, Germany, on April 02-04, 2019. Stefan Birner will present the poster “Temperature-robust terahertz quantum cascade lasers using Ge/SiGe” on Mon, 2019-Apr-1, 17:30-20:00, Poster E, Session number: HL 12.66, Serial number: HL 2. Thomas Grange and Stefan Birner will present their poster “Prediction of novel quantum cascade devices using non-equilibrium Green’s functions” at the Freiburg Infrared Workshop 2019. We are looking forward to meeting you there! nextnano is exhibitor at the 20th European Workshop on Molecular Beam Epitaxy - EuroMBE 2019 in Lenggries, Germany. We are looking forward to informing you at out booth about our software for simulating semiconductor heterostructures grown by molecular beam epitaxy. nextnano is sponsor of the 33rd Workshop "Epitaxy of III-V Semiconductors" of the German Society of Crystallography and Crystal Growth (DGKK) in Paderborn, Germany. We are looking forward to informing you at out booth at the industry exhibition about our software for simulating semiconductor heterostructures grown by epitaxy. nextnano will be exhibiting at the German MBE Workshop 2018 in Freiburg, Germany, on October 11-12, 2018. We are looking forward to informing you about our software for simulating semiconductor heterostructures grown by molecular beam epitaxy. On Friday, Stefan Birner will give a talk on “Modeling of epitaxially grown heterostructures with the nextnano software”. nextnano is sponsor and will be exhibiting at the 8th International Quantum Cascade Laser School and Workshop in Cassis. We are looking forward to informing you about our nextnano.QCL software. On Tuesday, 2018-Sep-04, Thomas Grange will give an invited talk on “Modeling electron transport in quantum cascade lasers”. We plan to offer a nextnano.QCL software workshop (hands-on tutorial) in Cassis if there are enough people interested in. In case you want to participate, please contact stefan.birner [at] nextnano.com to find out more. nextnano will be exhibiting at the 34th International Conference on the Physics of Semiconductors in Montpellier. 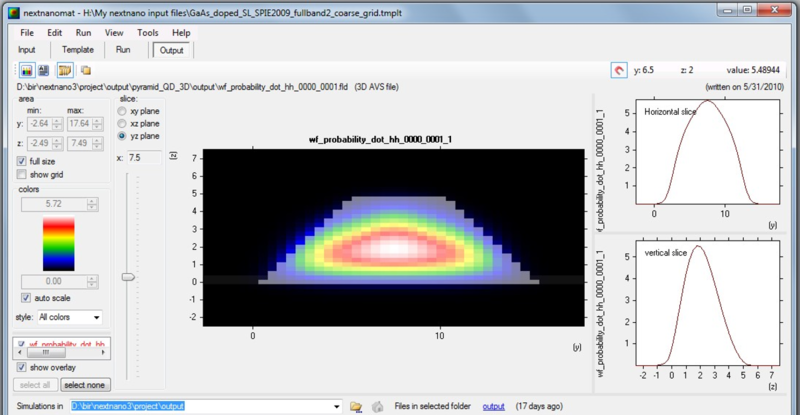 We are looking forward to informing you about our nextnano software for simulating semiconductor nanodevices. We plan to offer a nextnano software workshop (hands-on tutorial) in Montpellier if there are enough people interested in. In case you want to participate, please contact stefan.birner [at] nextnano.com to find out more. nextnano was exhibiting at the 1st Joint ISTDM / ISCI 2018 Conference in Potsdam. (9th International SiGe Technology and Device Meeting / 11th International Conference on Silicon Epitaxy and Heterostructures) We were looking forward to informing you about our nextnano software for simulating silicon-germanium semiconductor structures. Meet us at the Compound Semiconductor International Conference in Brussels. Meet us at the International Conference on UV LED Technologies & Applications in Berlin. nextnano was exhibiting at the 32nd Workshop "Epitaxy of III-V Semiconductors" of the German Society of Crystallography and Crystal Growth (DGKK) in Freiburg, Germany. We were looking forward to informing you about our software for simulating semiconductor heterostructures grown by epitaxy. On Thursday, Dec-07, 14:45, Stefan Birner gave a talk on "Modeling of epitaxially grown heterostructures with the nextnano software". nextnano will be exhibiting at the Austrian MBE Workshop 2017 in Vienna, Germany, on September 28-29, 2017. We are looking forward to informing you about our software for simulating semiconductor heterostructures grown by molecular beam epitaxy. Note: There will be a nextnano workshop on Friday afternoon, 2016-Oct-14. For more information, please contact stefan.birner [at] nextnano.com. 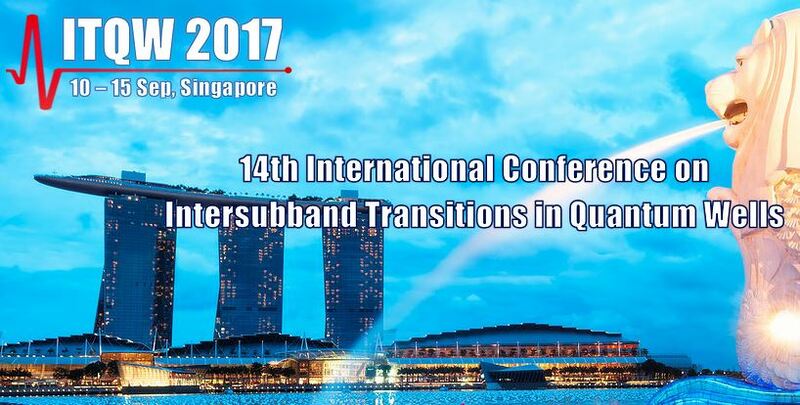 nextnano will be exhibiting at the 14th International Conference on Intersubband Transitions in Quantum Wells in Singapore. We are looking forward to informing you about our new nextnano.QCL software for simulating Quantum Cascade Lasers. During the 17th International Conference on Numerical Simulation of Optoelectronic Devices (NUSOD 2017) there will be a nextnano workshop offered in Copenhagen, Denmark. nextnano will be exhibiting at the DPG Spring Meeting 2017 in Dresden, Germany, on March 21-23, 2017. We are looking forward to meeting you there! We start directly after the WSI lab tour which begins at 14:00. A pick-up by car at the Walter Schottky Institute can be arranged. The workshop lasts approximately 2-3 hours. There will be plenty of time afterwards if you want to stay longer to do simulations on your laptop while we are helping you. The workshop will take place on the campus of the Technische Universität München. The gate Garchinger Technologie- und Gründerzentrum is a 5-minute walk from the Institute of Advanced Study where the MBE Workshop will take place, or a 10-minute walk from the Walter Schottky Institute. Individual help: Bring your own laptop! Please send an email to Stefan Birner, stefan.birner [at] nextnano.com. You can also register on-site during the MBE workshop. nextnano will be exhibiting at the Germany MBE Workshop 2016 in Garching b. München, Germany, on October 13-14, 2016. We are looking forward to informing you about our software for simulating semiconductor heterostructures grown by molecular beam epitaxy. Stefan Birner will give a talk on “The nextnano software for the simulation of semiconductor heterostructures” on Thursday. On Friday, there will be a hands-on workshop for the nextnano software. PROMIS is an Initial Training Network funded by the EU Horizon 2020 Marie Skłodowska-Curie Actions (“Postgraduate Research on Dilute Metamorphic Nanostructures and Metamaterials in Semiconductor Photonics”). Meet us at nano tech 2016 (International Nanotechnology Exhibition & Conference). Stefan Birner is giving a talk on the topic “Efficient method for the calculation of dissipative quantum transport in quantum cascade laser” at the Workshop “Applied Mathematics and Simulation for Semiconductors” at the Weierstrass Institute for Applied Analysis and Stochastics (WIAS). Stefan Birner will give a talk about “The nextnano software for the simulation of semiconductor heterostructures” at the Workshop “Topological nanodevice modeling” at the TU Delft, Netherlands. nextnano will be exhibitor at the International Quantum Cascade Laser School and Workshop 2014 . We are going to present our new nextnano.QCL software for Quantum Cascade Lasers. Stefan Birner will give a talk on “Efficient Method for the Calculation of Dissipative Quantum Transport in Quantum Cascade Lasers” on Thursday. Stefan Birner will give a talk about “How I turned my PhD project into a business - The nextnano software for semiconductor nanodevices” at the “NIM Spin-Off Club” Workshop of the Nanosystems Initiative Munich (NIM). nextnano will be exhibitor at the NSTI Nanotech 2008 Conference & Trade Show in Boston. 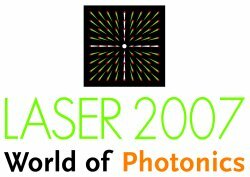 nextnano will be exhibitor at the LASER 2007 - World of Photonics trade fair. “Non-equilibrium quantum transport theory for quantum cascade lasers”. nextnano will have a booth at the NanoDay – Day of Nanosciences organized by the Nanosystems Initiative Munich. nextnano will be exhibitor at the 5th International Conference "Numerical Simulation of Optoelectronic Devices" (NUSOD05). Stefan Birner will give an invited talk on the “Study of optical properties of strained low-dimensional heterostructures with nextnano³”. Additionally, there will be a nextnano workshop during the conference. Stefan Birner will give an invited talk on the “Modeling of semiconductor nanostructures with nextnano³” at the XXXV International School on the Physics of Semiconducting Compounds “Jaszowiec 2006”. nextnano workshop in Jaszowiec, Poland, during Jaszowiec 2006 conference. nextnano workshop in Berlin, Germany, during NUSOD'05 conference. nextnano workshop in Chemnitz, Germany, during WE-HERAEUS-Ferienkurs für Physik: “Neue Materialien für morgen und übermorgen in Experimenten und Simulationen” of the German Physical Society. If you are interested in the workshop handouts, input files and executables, please contact support [at] nextnano.com. Individual workshops (e.g. during conferences) can be arranged on request.